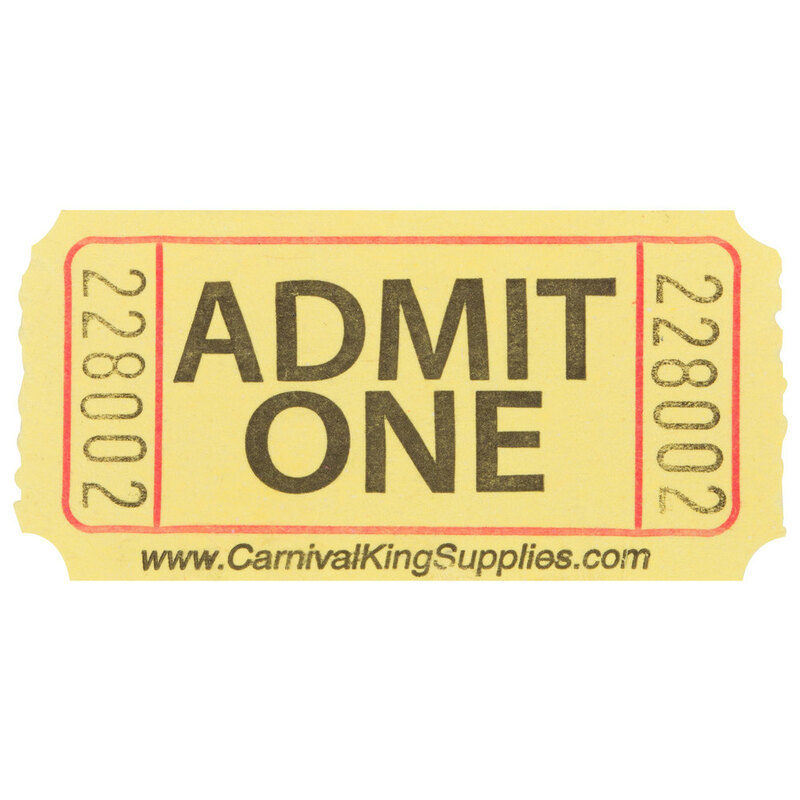 These yellow, Carnival King 1-part "Admit One" tickets are great for parties, sporting events, carnivals, and other special occasions! Consecutively numbered on both ends, these tickets are printed with black, easy-to-read ink. These eye-catching tickets are great for keeping track of attendance, or you can use them for raffles. Use them at your next event, whether casual or upscale, to help you stay organized!